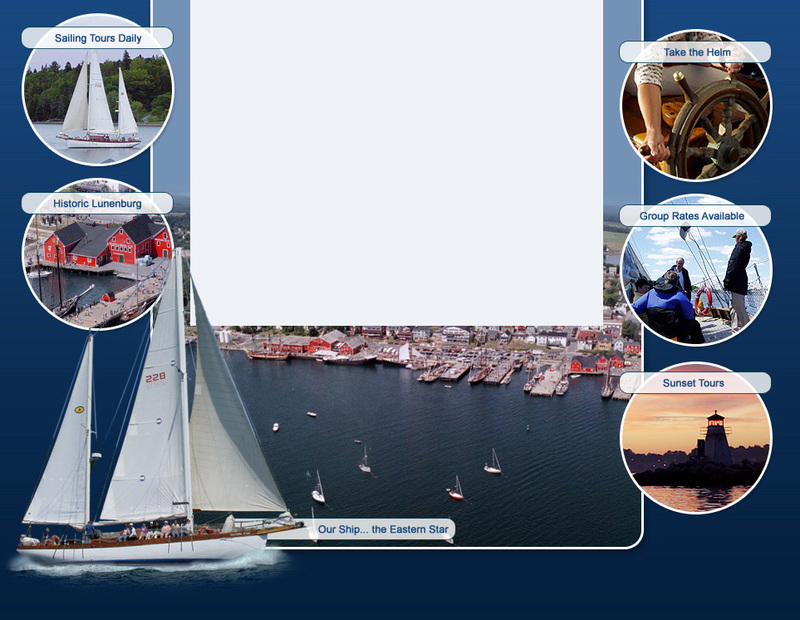 Set your course for a Nova Scotia sailing adventure aboard our beautiful sailboat... The Eastern Star! This classic 48 foot wooden ketch awaits your command. 30 person capacity. Sail the same majestic waves as the proud schooner, Bluenose; explore the harbour of historic Lunenburg; discover the sea caves of the famous Oven Natural Park; or bask in the sun and soak in the beauty that surrounds you. Look to Star Charters for a truly authentic Maritime sailing adventure, boat tour, or charter from the historic waterfront at Lunenburg, Nova Scotia. LET US TAKE YOU WHERE YOU WANT TO GO! Two-hour day cruise or sunset tour onboard our 48-foot wooden ketch. With a little instruction from the crew, it's time for select passengers to raise a few sails, take the helm and feel the powerful allure of the wind and sea. Private Charters & Group Reservations Available!